Proverbs 31 Wanna-be | Devotions written for men and women by a Proverbs 31 Wanna-be. Page 3: “These (resolutions) are more than just determinations you make within yourself; they are girded about with the power of the Holy Spirit – encouraging you, comforting you, equipping you, empowering you with the strength you need to carry them out. 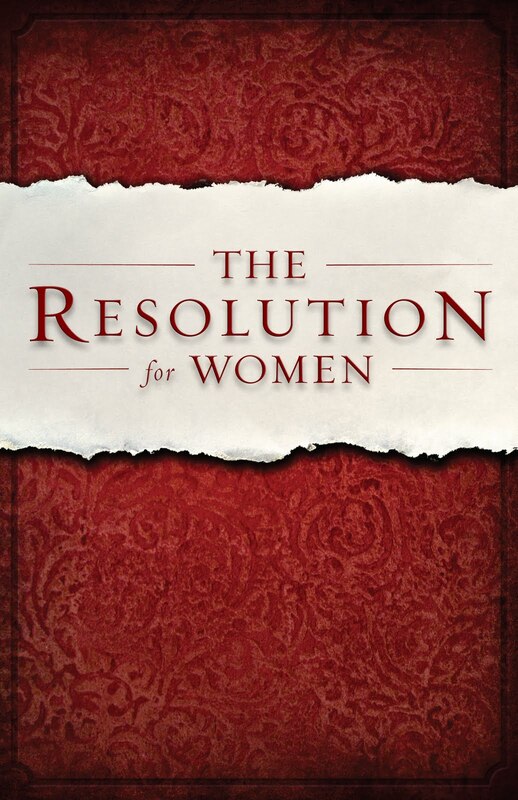 Essentially, these are His resolutions for you.” – How does she know what God’s resolutions are for me? She’s speaking as if this book she wrote is on the same par as the very Word of God. How audacious and arrogant! Page 4: “And all you need to know and care about is that in God’s impeccable timing and design, He has brought this book into your life for this particular season.” — Again, another very bold claim – like she knows God’s will and plan for my life. Page 61: She encourages you to ask other people what makes you unique. She goes on to say, “So open yourself to hearing someone remind you what they see in you. Write these things down. Internalize them. Accept them. Your gifts and skills. Your personality and temperament. The things that make you noticeably, singularly you. Your strengths and, yes, your weaknesses.” — Again, a lot of focus on us. Is it any wonder that the title of this chapter is “Happy to Be You”? The title of this section of the book is called “Authentically Me.” Our focus should be on the Lord. If you are diligent to read the Word, God is more than able to speak to you about your issues – good and bad! Page 134: She is speaking on forgiving ourselves. “..the capacity to forgive yourself is personally impossible….But there’s no need to be dismayed or defeated over this because absolutely no place in Scripture are we told that this something we’re supposed to do.” And she reiterates that point again. – When Jesus was teaching us how to pray, He said we are to ask the Lord to forgive us of our sins, just as we forgive those who sin against us. Sometimes the one who sins against us is…..us! 1 Corinthians 6:18 makes it very clear that sexual sin is against our own body. So Priscilla Shirer is scripturally wrong in saying we are not commanded to forgive ourselves. Page 189: “I’ve enjoyed the distinct honor of sharing a speaker’s stage with two beloved authors and Bible teachers – Kay Arthur and Beth Moore.” In a previous post, I covered in great detail many scriptural errors that Beth Moore made in her book Believing God. I haven’t studied Kay Arthur, so I cannot make an accurate statement about her. 1 Corinthians 15:33 tells us that bad company corrupts good character. Hanging out with false teachers is hanging out with bad company! There are many websites that address Priscilla Shirer’s false teachings in much greater detail. She is heavily into contemplative prayer, which embraces New Age, Middle-Eastern techniques for meditation and they are not even close to being scriptural. After pulling away and reading only Scripture for four years, then trying to come back and read books written by other people, I have to say that I would much rather read my Bible. My Bible is filled with nothing but truth. With as prevalent as false teachers are in today’s society, make a better choice: Read your Bible! Today I am sharing errors I found in Beth Moore’s workbook for the Believing God class. While the workbook has many of the same errors in it that the hard cover book does, it also has some addition information that I found disturbing. 1. Page 9: On the very first page of the lessons, she is pushing her 5-pledge statement of faith. (I mentioned that in previous posts.) I only mention it again here because I want to point out that these 5 statements were made up by her. She pushes them like they are an anointed incantation. However, Psalm 138:2 tells us that God has magnified HIS WORD above all else. If I’m going to quote something over and over, it will be God’s Word, not something created by Beth Moore or anyone else. What she is asking us to do is not scriptural. There are several prophecies in the Old Testament that have been partially fulfilled, with more to be fulfilled later. Another example of this is from Isaiah 61:1-2. Jesus quoted part of this in Luke 4:16-19 because He was fulfilling that scripture right then. However, He did not quote the latter part of Isaiah 61:2 because that is speaking of the wrath of God, which is yet to be fulfilled. 3. Page 111: In speaking of the story of Rahab, Beth starts speaking of the romantic side of God and referring to His “Prince Charming side.” God is not my boyfriend! And Rahab was a whore! There is nothing romantic about it! Now some may disagree with me in my thoughts on this, but even Song of Solomon doesn’t romanticize our relationship with the Father. It is an image in written form of how passionately God loves us. It shows us as the precious bride of Christ, in a language we can understand, but it is in no way relating to Him as our boyfriend. 4. Page 115: She begins to teach on the spoken word and the power it carries. However, she pushes it so much, that it is like she negates the multitude of scriptures that speak of meditating on God’s Word. 5. Page 116: She gives a list of 4 things. — God’s words are omnipotent. — Our words are potent no matter how we use them. — God desires not only that His children believe truth but also that we speak it. — God ordains that words of faith have more power than thoughts of faith. I have problems with some of these points. First, GOD is omnipotent. To say that His Words are omnipotent gives the impression that an unread bible holds unlimited power, and that just isn’t the case. Secondly, on the last point, what about people who are just quiet by nature? Is their faith less because they don’t speak a lot? If I were quiet by nature (I am far from that), I would find her implication here highly offensive. Next, she says, “So what if our reality doesn’t reflect a powerful-voice theology?” Seriously? What is that??? It sounds like she is pushing more name-it-claim it theology, and discounting the power that those who are quiet by nature may possess. It comes across like you need to be a loud-mouth to get God’s attention, and that just isn’t so. 6. Page 159: Speaking of God, she says, “… you were already on the great adventure of faith even when Jesus was wooing you, and if I may be so bold, flirting with you.” Once again, she pushes the idea that Jesus our boyfriend, and that is not scriptural. He is my Savior. Period. I like a quote by Linda Kay Klein: “I have little patience for taking biblical metaphors too far, and giving one’s relationship with God an air of chumminess.” Well said! 7. Page 165: She suggests that God doesn’t really forget our sins once we repent of them. Rather, He chooses not to remember them anymore. The Word tells us He remembers our sins no more. Period. (Jeremiah 31:34) She does go on to say she may be way off base in her thoughts. Well if she thinks she could be way off base, then why even bring it up? 8. Page 203: She speaks of using a “newly directed approach” in her research. I think this is a very apt description of what she has done, being that she is also into contemplative prayer, and highly praises some who follow Middle Eastern, New Age techniques and meditation. This is mentioned multiple times in her book When Godly People Do Ungodly Things. 9. Page 49: She makes a very interesting (and true) statement. “I have taught some foolish things in my day and don’t doubt that I will accidentally teach some more.” From my research on just this book, I can concur that she indeed has taught some very foolish things. 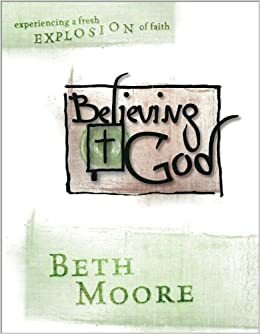 I have done much research on her, not just from this book, from other books, and I can say without hesitation that Beth Moore is a false teacher. So Beth Moore declares that she believes there is a disunity between the gospels and the epistles?? God does not have a split personality. The Word of God is inspired. The Word of God is true. This is just one more reason to stay away from anything written by Beth Moore. Unless otherwise noted, references are to the hardback copy of Believing God. I want to continue in addressing the errors and concerns I have with Beth Moore’s book Believing God. The prosperity gospel is a false gospel. If what you are preaching cannot be preached in third world countries, then you are likely preaching a false gospel. – Page 5/6 She says that God has promised us a place of blessing and that He has promised us a place we could live, and a place where He brings great harvest. This sounds a lot like the Name-it-claim it, prosperity message. In 3 John 2, he prays that they would prosper, even as their soul prospers. That puts our spiritual condition first, not our comfort and blessing. – Page 11 – She uses a term called “Promised Land theology.” Again, this reeks of the prosperity gospel. – Page 27: She talks about Eve dropping her shield of faith. She says, “When she (Eve) fell, she fell hard. I know the feeling.” To equate our falling to Eve, who lived in a perfect world, is very audacious. We don’t have a clue what Eve felt, after having walked in absolute perfection, to be duped by Satan, and now to enter the land where sin has entered. – Page 28/29: “I’m asking you to consider making a commitment to three specific faith practices I’ll share with you through the remainder of this chapter. Together they enhance an environment in and around you that invites the pleasure and power of God.” What she is stating is that her teaching is going to invite the pleasure and power of God. How arrogant! – Page 32: “…if you want to experience a supernatural surge of God’s Spirit, you ought to try proclaiming the five-statement pledge of faith with a few thousand others!” She is saying that reciting her own statement brings a supernatural surge of God’s Spirit. That is so arrogant! She is getting too big for her britches! – Page 85: She is referring to God is who He says He is, and God can do what He says He can do. “I pray these two statements are being ingrained deeper and deeper within our belief systems…May He invade even our subconscious with His Word.” By mentioning her own 2 statements, then saying, “May He invade our subconscious with His Word,” it sounds like she is equating her own words with being the Word of God. – Page 33: “Commit to say, write, or think your five-statement pledge of faith repeatedly over the time frame you choose with God.” This is not scriptural! Psalm 1 tells us to meditate upon the Word of God. In Psalm 119:11, we are told to hide God’s Word in our hearts. – Page 135: “God’s words are omnipotent.” I’ve often heard that God is omnipotent. However, if we say His words are omnipotent, we give the impression that an unread bible is powerful. However, there is no power in a bible if it is not read and applied in our lives. – Page 234: “God’s Word tells us to whom much is given, much is required, Luke 12:48, but I am also convinced that to whom much is required, much is surely given.” She gives no scripture to back up her claim. Next time, I will address errors I found in the Believing God workbook. I used to be one of those people who read everything Beth Moore put out. I loved her studies. However, at that time, I was one of those who was rather biblically illiterate. Though I did read my bible, I really didn’t know how to rightly divide the Word. I also just took her words as “gospel,” without doing like the Bereans and searching to make sure that what she said was really truth. I began to hear things about certain, very popular teachers and preachers and how they were preaching false doctrine. I was very disturbed to find Beth Moore’s name among the many who were being mentioned. However, I decided to search it out. I was shocked to find that there were truly many scriptural errors in her teachings. There are many things in the book with which I disagree, but I am going to address the three that I found to be the most serious contradictions to what the Word says. I am doing this because of my passion for a biblically illiterate church to not be deceived by false teachers who are so sneaky and deceptive, making merchandise of the church for their own selfish gain. I feel I have a biblical responsibility to speak out when I see error being taught. 5. God’s Word is alive and active in me. I have problems with this for several reasons. We can’t know who God says He is unless we are in the Word. We can’t know what God says He can do unless we are in the Word. We can’t know who God says we are unless we are in the Word. His Word isn’t alive and active in us unless we are in the Word. Her 5 statements sound like a mantra, a name-it-claim it theology, or a magic incantation – like if I say it enough, it will happen on its own. This is not biblical! While she does have one statement that is a bible verse, it gives the idea that we can do all things through Christ. However, if we aren’t in the Word, we don’t know what “all things” are. We may think that we can commit adultery because it just feels “right” in our heart, and after all, the Word says we can do all things through Christ. The 5-statement pledge of faith isn’t the only the thing I found that reeked with a New Age feel to it. Page 141 of the hardback book: “We read or hear God’s Word. We choose to receive it, thereby inhaling it like a fresh breath of faith. We speak it aloud at opportune times, even just to ourselves, thereby exhaling that spirit of faith over our very circumstances. Making a reasonable and livable lifestyle of believing and speaking God’s Word is like living on the CPR of the Holy Spirit.” She then adds, “Don’t try to make something mystical out of it.” Yet, she has done that very thing with her New Age phrases. This is very dangerous for a “Bible teacher” to interject what they think, feel, believe, when it is not firmly back up correctly with scripture. In a church of lazy, biblically illiterate people, they will take the author’s word as “gospel,” never matching his/her words against scripture. 1. Page 4: “Blessing is bowing down to receive the expressions of divine favor that in the inner recesses of the human heart and mind make life worth the bother.” – This sounds like a bunch of New Age stuff. Blessing doesn’t bow down. WE bow down….to God. Blessing and divine favor aren’t what make life worth the bother – JESUS is what makes life worth the “bother.” And I find her choice of wording (bother) very odd when we are told that Jesus came to give us life and life abundantly. 2. Page 9: “Promised Land theology becomes an earthbound reality only to those who cash in their fear and complacency for the one ticket out of their long-inhabited wilderness.” — This sounds like Name it-claim it, Prosperity Gospel message. 3. Page 16: “I believe scripture will reveal to us through our journey that nothing is more important to God than our faith. Yes, love is His greatest commandment, but any of us who have accepted the mammoth challenge of biblical love in difficult circumstances can testify how much faith was required for obedience.” — Here she uses “I believe” phrase again, then says nothing is more important to God than our faith. However, scripture says we are to love the Lord God with all our heart, soul, mind, and strength. 4. Page 43: She lists her 5 statements again, then says, “These five statements become a shield of faith to those who will allow them to penetrate the marrow of their belief system.” Not only is this very arrogant of her, it is not scriptural. Ephesians 6 speaks of the armor of GOD. Nowhere in scripture does it tell us that someone else will make a shield of faith for us. Personally, I find this statement heretical. 5. Page 51 of the workbook: When the Son of Man comes, will He find faith on earth? “If the answer to that question is going to be yes, the people of God must start believing their God.” — James 2:19 tells us the demons believe and tremble. It is more than just saying you believe. James 2:24 tells us that a man is justified by works, not just by faith (believing) alone. You must be in the Word so you know what to believe. 6. Page 147: She speaks of Matthew 17:20 where it says nothing shall be impossible for you. She goes on to push the idea of speaking to our mountains, to have faith and “say to this mountain.” “In other words, I think we could say that Christ taught His disciples to “believe and therefore speak.” — However, she doesn’t rightly divide the Word here because the very next verse after Matthew 17:20 says that this kind doesn’t happen except through prayer and fasting. Yet, she leaves that important verse out. In my research, I have discovered that she does this quite often in her books, not using the scripture in its entire context, and that is dangerous. First, it is not the fault of our Savior that life is not fair. Secondly, what does the verse she quoted have to do with life not being fair? Third, her question makes absolutely no sense to what she was saying. Fourth, she states at the beginning of her book that unless otherwise noted, scripture used is NIV. So I looked up NIV for the verse she quoted above. Here is what the NIV says: John 1:16 New International Version (NIV) 16 Out of his fullness we have all received grace in place of grace already given. So she is misquoting the verse. After pondering a bit more on that paragraph, it occurred to me that perhaps she was trying to state that we can “blame Jesus” because he brings one blessing after another, even when we don’t deserve it. However, again, she misquoted the verse, and used in the context of how she is saying it, it comes across as a prosperity gospel message. The Word tells us that it rains on the just and the unjust. Life isn’t always filled with one blessing after another. In the context of what the verse really says, we have received grace upon grace already given. Grace given = Jesus died for us. The extra grace we are given can vary from person to person, and we can receive that grace even when going through trials. When she speaks of it as blessing upon blessing, it gives the implication that life will be good all the time. She makes an interesting statement on page 2 of the book: “Our status-quo system of contemporary Christianity isn’t working, and I’m bucking it.” I believe this is a very accurate statement, in that, she is indeed “bucking it” and she is doing so by teaching a different gospel. Of which, Paul said to let them be accursed. While a lot of what she says is biblical, there is much that does not line up with biblical truth. For a church that is mostly illiterate where scripture is concerned, it makes me think of someone pouring one drop of poison in a glass of water – that tiny drop of poison ruins the entire glass of water, regardless of how pure the water was before the poison was added. People who do not know how to rightly divide the Word of truth become easy targets of false teachers. We are in critical times, and just because someone is very popular in “Christian” circles doesn’t mean they are truly teaching biblical truth. Because scripture makes it clear that a little leaven leavens the whole lump, I will therefore be refraining from attending anymore classes with Beth Moore’s teachings. In future posts, I will add some other concerns I have with this particular book by Beth Moore. 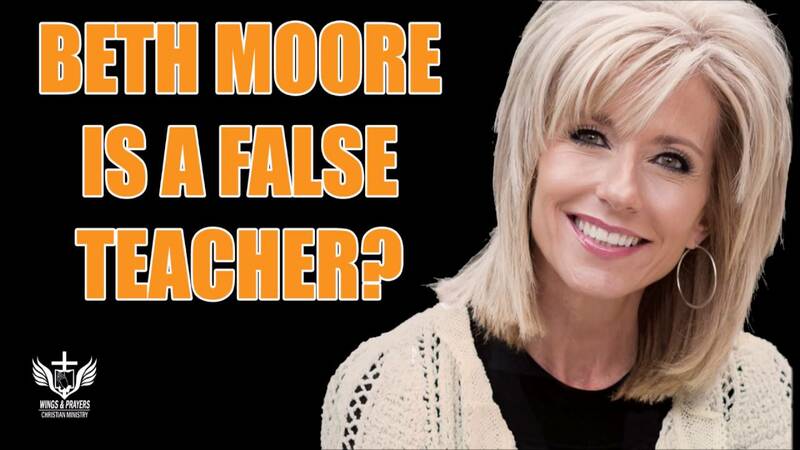 After doing extensive research on Beth Moore, my answer to the above question is an emphatic YES! 1. Be a Berean of the Word. Don’t just take “as gospel” something a popular author or teacher says. Check it out. Does it match with what scripture says? 2. Does the person push repeating phrases? This is New Age teaching, like a mantra to be said over and over will make it happen – similar to an incantation (witchcraft). 3. Do they use phrases like this throughout the book: I feel, I think, I believe, I’m convinced, I’d like to suggest, Is it possible….? This is very dangerous because they often don’t back up what they are suggesting with solid, biblical proof that they are correct in their thinking. Or they take one verse, and put together a “theology” of their own without rightly dividing the Word. 4. When you read scripture in their books, don’t just assume it is correct. Get your Bible and read surrounding scriptures from the verse that has been quoted. Based on what the original context of the scripture is, does what the book says still line up with the Word? Or are they stretching that one verse to mean something entirely different? 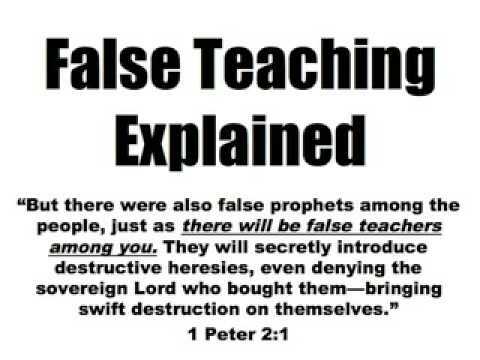 The Word makes it very clear that in the last days, there will be many false teachers. In fact, Matthew 24:24 warns us that there will be so many false Christs (false teachers) in the end times that they may even be able to deceive the elect. We are in critical times, and just because someone is very popular in “Christian” circles doesn’t mean they are truly teaching biblical truth. Because scripture makes it clear that a little leaven leavens the whole lump, it is imperative that we learn to be literate with our Bibles, knowing how to rightly divide the Word of Truth so that we aren’t “infected” with deceptive, false teachings. In future posts, I am going to address a book I just read by a very popular author and teacher. This book has all of the above points in it, yet multitudes of people in the church are “feeding” themselves with the false teachings in the books written by this person. Oh, Wretched Man That I Am! I went through the hardest year of my life in 2014. We lost my brother in March due to a heart attack. Shortly after that, I thought I’d do the proactive thing and get a healthy heart scan done. I got a great report and left the hospital feeling a bit better since I had been bombarded with thoughts of, “What if I’m the next one in the family to die from a heart attack?” Finally, I had some peace, knowing everything looked good. Shortly after arriving home, I got a very disturbing phone call. It was my doctor’s office. They wanted me to have a diagnostic mammogram done because they saw something “suspicious” on my heart scan. Here I was, finally feeling a bit better emotionally, and now I was sobbing again. Fear just ripped through me. By the time I was able to get the mammogram done, I was wired so tightly that I felt like I was going to snap. Whenever the tech would walk out of the room, I would start crying again. I was so relieved when the radiologist came in and said everything was fine. A few months later, my teenage daughter told me that she was having frequent issues where her heart would race and/or pound very hard. She would frequently stand up, then drop to the floor because her blood pressure would drop too quickly. You can only imagine the thoughts that were racing through my mind with the loss of my brother still being so fresh in my mind. So off we go to see her doctor for blood work, all of which came back normal. The next step was to see a cardiologist, which lead to more testing. Finally, were were assured that there wasn’t a serious problem. Rather, what she was experiencing is quite common among girls her age, and it would likely pass in a few years as her hormones changed. In the fall, I noticed that I was becoming increasingly depressed and more fatigued than usual. Even though I knew I was still in the midst of the grieving process, I was concerned because this depression seemed to be more than the usual grieving. In fact, I frequently told my husband that I just wanted to die. Not that I wanted to take my life, but rather, I just wanted to curl up, go to sleep, and never wake up. I’ve never been like that, so it was time for me to get a round of blood work done. All of my blood work came back normal. Now I wish I could tell you that through all of this I had a very strong spiritual fortitude and that my attitude never turned sour or fearful. If I told you that, I’d be lying. I had many times that year where I felt absolutely overwhelmed with grief and worry. As I was reading through Romans 7 about Paul’s ongoing battle with the flesh, I saw things in a new light and it deeply convicted me. · Declutter drawers, cabinets, etc. · Email friends and talk to them about my struggles. Now are any of these things bad? Nope. Not a one, when done in moderation. However, because I was choosing to do them rather than run to the Lord, that overwhelming feeling increased, rather than decreasing. Why? Because deep down, I knew what I should do, but I just wouldn’t do it. 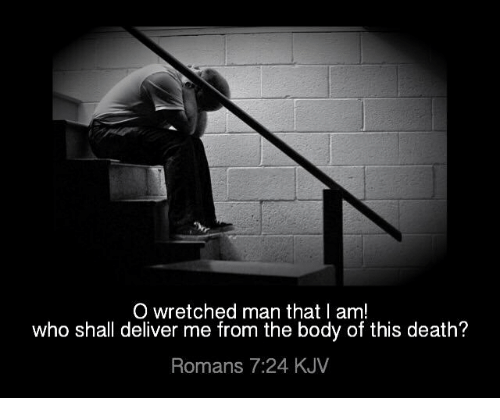 When you read the final words about Paul’s struggle against his fleshly nature, you can sense his frustration when he said, “What a wretched man I am! Who will rescue me from this body of death?” Thankfully, he seems to have had an epiphany after he cried out those words. He reminds us that Jesus is the one who will rescue us. So while that year would still have been my worst ever, had I only reached out and invited the Lord to infuse me with his strength, peace, grace, and mercy, I don’t think I would have felt nearly as overwhelmed with life. I want to encourage you to invite him into whatever daunting circumstances you may be facing and let him walk with you through it. After all, we have the promise that even though we may walking through the darkest of valleys, he will be with us. And he is the one who can lead us to the still waters where our soul can be refreshed. I have always been a list-maker. Even as a child, I liked the idea of writing a list and being able to cross off things as I finished them. I was reading through Leviticus 23, where it talks about the feasts and the many strict, specific requirements given by the Lord for celebrating these feasts. I couldn’t help but picture the people of that day writing their own to-do list in whatever form they used in that time period to help them get everything done properly. Things really haven’t changed throughout the centuries. However, it isn’t the Lord who is mandating the strict, imposing requirements on our to-do lists – it is US! We wear ourselves out trying to conquer this ever-mounting list. Is there any hope of relief? YES! One theme seemed to keep coming up throughout the feasts. It is the command to do no regular work on certain days. A few words after that, it says, “This is to be a lasting ordinance for the generations to come, wherever you live.” Guess what? That means US!!! And this command to do no regular work isn’t just mentioned once. It is mentioned nine times in that one chapter! Perhaps the God who created us knew our tendencies to work, work, work, and burn ourselves out emotionally, spiritually, and physically. Thus the reason He added this command nine times in one chapter. He wants to get our attention! He who created us knows how our bodies were made to work, and they require a day of rest so that we can recharge. I found it interesting to note that the command was given NINE times. In scripture, nine is a symbol of completion. Perhaps by following His command to allow ourselves that day of rest each week, we will be more “complete” in our body, soul, and spirit. The result could be that we are able to conquer much more than if we never take that God-inspired rest. 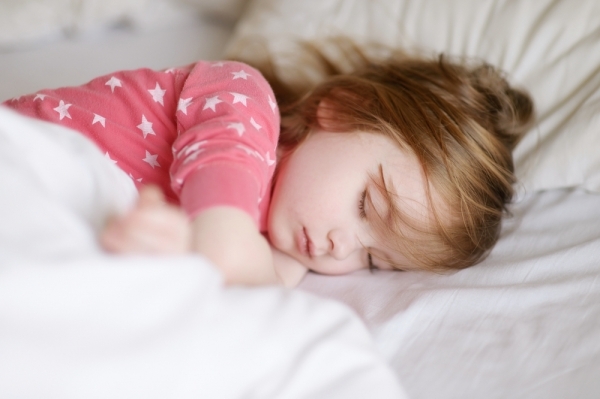 Rest – it’s a beautiful thing!! !